The London Wine & Food Show might need to consider a name change, as there are just as many -- or more -- spirits and craft beers to sample as there are wines, which is no bad thing. While exploring the craft beer section of the show, I ran across the friendly folks at the Side Launch Brewing Company booth. After a nice chat with Marissa Begin, Side Launch Marketing and Event Coordinator, and her colleague and a sample of Side Launch Wheat, I thought about just how much the craft beer scene in Ontario has changed since I first tried that beer. Better still, I was reminded of how awesome that beer is and how friendly and welcoming the craft beer scene is. 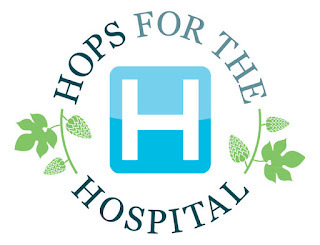 In 2010, I organized a beer pairing dinner called Hops for the Hospital in support of medical imaging technology at London Health Sciences Centre. With the help of Milos Kral -- now of the wonderful Milos’ Craft Beer Emporium -- my goal was to pick four of the better craft beers available in Ontario at the time. One of the easier choices to make was Denison’s Brewing Company’s Denison’s Weissbier, an award-winning Bavarian-style wheat beer, which has since then been rebranded as (you guessed it) Side Launch Wheat. In preparing for the event, I came in contact with Denison’s and now Side Launch brewmaster Michael Hancock, who couldn’t have been kinder and more supportive. Despite the fact that Denison’s Weissbier was an award-winning beer and consistently among the most highly rated beers in the province on Ratebeer, Denison’s was just a small operation and Hancock couldn’t afford to come to London for the event. He graciously sent along some glassware and his apologies, despite the fact that I had e-mailed him out of the blue and he had no idea who I was. So, when I heard that Denison’s merged with Side Launch in 2013 and then rebranded Weissbier as Side Launch Wheat and debuted their spiffy new cans in 2014, I couldn’t have been happier for Hancock and happier to know even more craft beer lovers in Ontario would get to try his beer. Side Launch Wheat looks like a good weather forecast: sunshine with just a bit of cloudiness. From there, things get even better when you smell it and get notes of wheat, banana and spices. It is pleasantly carbonated and smooth and all the scents are backed up in the taste, the cloves you might expect and even a hint of bubblegum that Hancock says is a classic trait of the style. It speaks to how far the Ontario craft beer scene has come (and to my own affinity for darker beers and trying new styles) that a beer this fantastic hadn’t had a regular spot in my fridge -- a problem I've now rectified. The other three beers we served at Hops for the Hospital, (Black Oak Summer Saison, Mill Street Tankhouse Ale and Wellington Russian Imperial Stout) also tell their own stories of the changing and growing craft beer market in Ontario. At the time, Black Oak’s 10 Bitter Years was one of the first superstar beers in Ontario. It wasn’t brewed year-round and was hard to find. If you found out someone had it on tap, your plans for the evening were set. It was also one of the first Imperial IPAs on the scene and now there are dozens to choose from each summer. While we would have loved to have it at Hops for the Hospital, we settled (albeit happily) for their Summer Saison. These days, Black Oak brews 10 Bitter Years year-round and it is pretty easy to find at the LCBO -- who knew how spoiled we’d be? Mill Street’s Tankhouse Ale spawned countless knock-offs and even an inevitable backlash in one memorable blog post by Ben Johnson you should definitely check out. Mill Street was recently acquired by Labatt, which is representative of the times in itself. As for Wellington Brewery, its Russian Imperial Stout is still wonderful but also downright ubiquitous. It has been easy to find those little red cans of awesomeness at most LCBOs for a few years now -- further proof of how spoiled we’ve become in just six years. In fact, most craft beer geeks probably move right past Wellington’s standard stout and seek out their many variations of stout in their Welly One-Off or Welly Re-Booted series. Wine-barrel aged, bourbon-barrel aged, milk chocolate, latte spiced… the list goes on and on. So, thank you to Side Launch Wheat and the Side Launch team for reminding me not only of how awesome Side Launch Wheat is, but also of how far the craft beer scene in Ontario has come. Here’s hoping that in another six years, I’ll be looking back at how far we’ve come yet again.